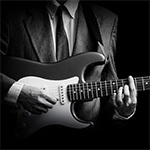 Discover how you can improvise on the guitar. 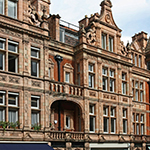 Find out why it is a lot easier than you think. Grab your favourite axe and try out the licks in the article – have a WHOLE LOT OF FUN! This little guide is aimed at beginners wanting to learn how to improvise on the electric guitar. The electric guitar is a fantastic instrument. It is an instrument that has taken the world by storm, set youth free and stages across the world alight! Learning how to improvise successfully on the electric guitar requires some study and practice. You can learn how to improvise with or without a teacher as long as you are willing to apply yourself and take the time needed to understand how and why things work. The idea is to mix things up. True improvisation is very rare. In the early days of learning how to improvise on the guitar, I advise you to just give it a go. You will probably feel that you are not able to improvise. Give yourself the permission to try and the permission to make mistakes. The great legendary saxophonist Charlie Parker tried his hand at improvisation long before he was really ready. He just gave it a go and tried! Was he super successful at first? No, not in the beginning, he even made a mess of things on a professional stage when he was younger. But as time progresses, Charlie Parker practiced and practiced and practiced some more and then eventually become one of the greatest improvisers who ever lived. Yes, Charlie Parker is a legend. So let go of your fears and follow the ideas in this article. 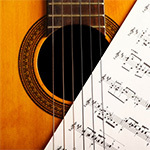 Take the first step and then you are on your way to learn how to improvise on the guitar! Over the years I’ve actually grown quite tired of always using the same box shape as a starting point for new guitar students. I did however realise that the A minor pentatonic position 1 scale is a relatively easy scale to understand. It is also an easy scale to visualise, and as the guitar is very much a visual instrument I thought it prudent to start with this scale in this position. So, we will use it as a starting point. 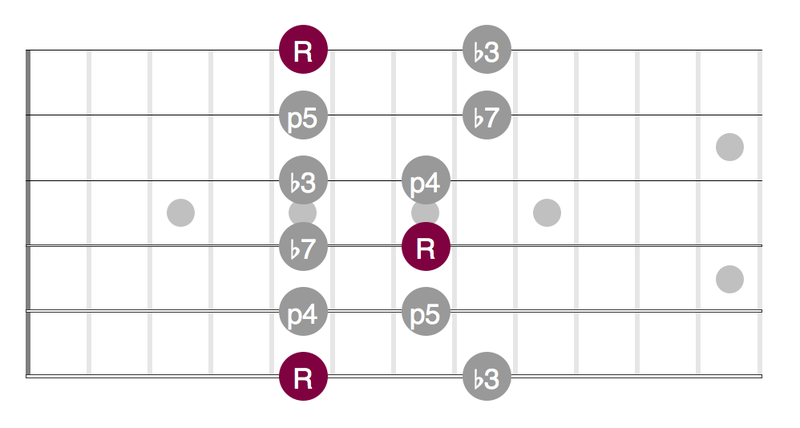 Now, the first step here is to just play through the scale using alternate picking. Once you have the scale under your fingers and embedded in your memory, then you can try to play alongside a backing track. It is very important that you just give it a go, without judging yourself! You just have to play, play and play some more. In the beginning your musical phrasing will not be mature and your improvisation may not sound as wonderful as you want it to be. The thing here is not to despair. Good phrasing comes with lots of time and effort and when you start improvising it’s quite natural not to have great musical phrasing just yet. You may even wonder what I mean by the term ‘phrasing’. Phrasing is basically a musical sentence. In language we use full stops, commas, question marks to form and express our sentences. You should do exactly the same in your improvisations! Improvising is basically speaking on the spot with your guitar! Play a line or a lick and then take a small musical break by playing a bend that asks a question. You can then answer the bend with a flurry of notes across the guitar neck. You see when you improvise, you are really talking on the guitar in an abstract manner. All great guitarists who know how to improvise will have their own repertoire of licks that they can use in a musical situation. You should also develop your own personal repertoire of licks that you love and that you are comfortable with. Once you memorise some cool licks that you like, then you will be ready for higher level improvisation. I know that many guitarists falsely belief that learning licks makes you uncreative. The truth is you need a repertoire to fall back on when your creative juices run out. 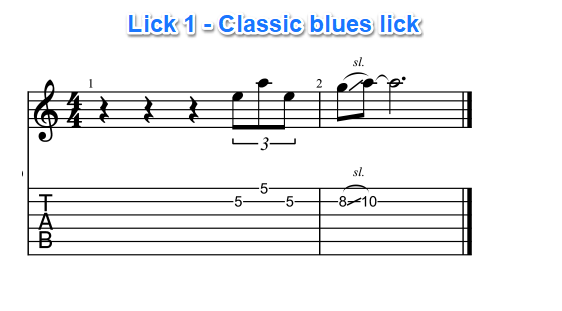 Alternatively, you can also rehash your favourite licks on the spot. So no, learning licks should not make you uncreative, but rather more creative! It does take courage to memorise and internalise a repertoire of licks, but they will provide you with years of playing success! 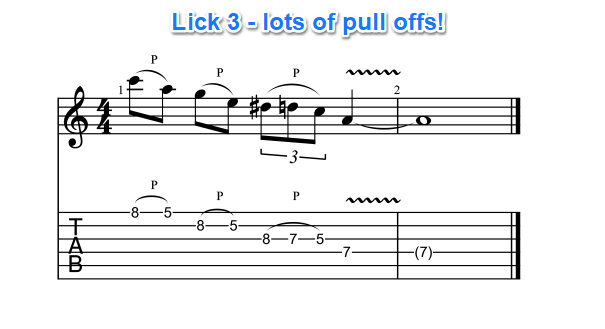 Your licks will become your babies! Your tools of the trade. 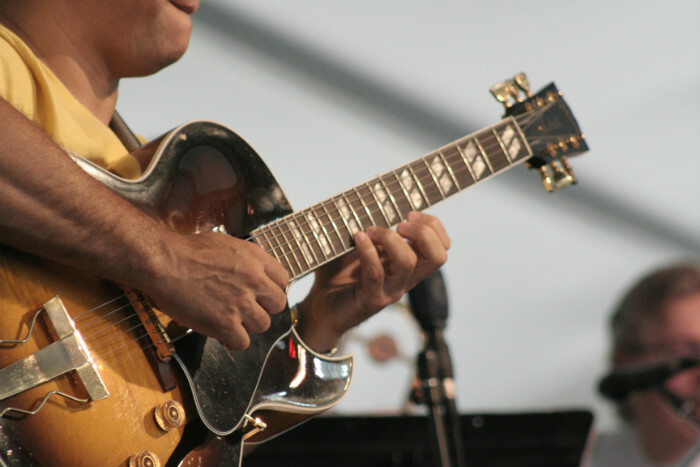 Resolve today to learn some licks that you love that will help you make a big difference to your playing.